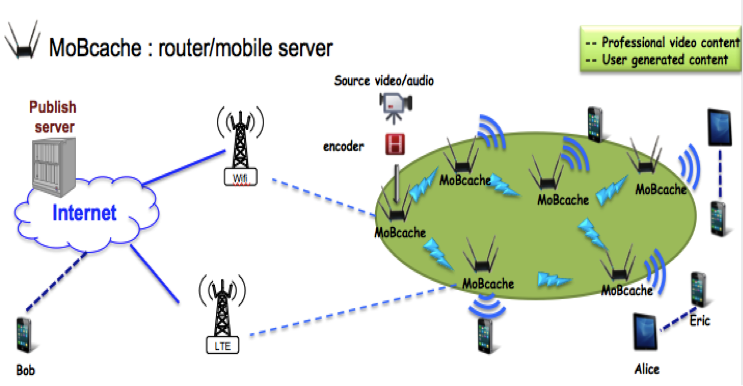 MoBcache is mobile router-server which performs caching and pre-fetching of content. Internet connectivity is often a problem due to multiple users connecting at the same time requesting and interacting with heavy content. This is often the case during events such as concerts or sport games. Another example is Wi-Fi in public transportation or libraries, hotels or universities, not to mention the slow connection we often experience in cruise ships. We as users tend to expect smooth connection in order to watch videos or movies, interact on social networks or use new services of the digital era such as e-learning platforms. it enables new services which can be run on top of the system (such as interactive e-learning platforms) with 100% availability. Ability to run added value services on top of the MoBcache system and allow quality access to premium content even if the internet connection is down or non-existent. 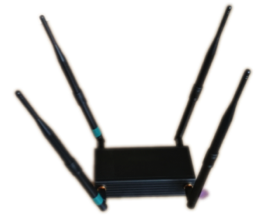 Usually several MoBcaches are on site, and they connect automatically into a tree or mesh wireless network without any installation process. Check out details about the custom management system – MoBcache manager. More technical details about the router-server can be found here. To learn more about the advantages of MoBcache in different industries, download our product presentation. To become a partner contact us!